Diageo has committed to helping a million people a year through improved water supply and sanitation in Africa through their Water of Life program. Diageo’s Water of Life Programme was originally established as a philanthropic programme in Africa, as they looked to differentiate their businesses and motivate their employees. Given the company’s presence in Africa, where the WASH challenge is most pressing, the company committed to help a million people a year through improved water supply and sanitation. As the Water of Life programme and implementation of the Blueprint have evolved, understanding of the water risks faced by the company and its stakeholders has deepened. In particular, external evaluation of its work in Ghana and application of the Alliance for Water Stewardship standard in Tanzania have revealed that focusing efforts to improve WASH for communities within the Diageo supply chain can deliver operational and business benefits which go far beyond ‘feel good’ philanthropy. The company’s approach to WASH has therefore evolved from being part of Corporate Social Responsibility to an essential element of sustainability within the value chain. The aim is for the Water for Life programme to be self-funded by the local Diageo businesses, rather than being supported from the company head office. Local businesses therefore decide where they will focus work to deliver on their annual commitment of numbers of people assisted with WASH, and work with NGO partners (e.g. Oxfam, Concern, WaterAid, AMREF, CAF) in delivery. Diageo and their local subsidiary, Guinness Ghana Breweries Limited, worked with WaterAid in Ghana’s Upper West and Upper East Regions between 2007 and 2015 to support 68 water supply, sanitation and hygiene projects in 58 communities. Some of these interventions focused explicitly on the communities working to grow sorghum as an input to the breweries’ supply chain. The initiative focused on both rural and urban communities, health centres and schools, and involved construction of handpumps, mechanized boreholes, distribution and storage infrastructure, and ‘water health centres’. In Tanzania, the brewery site and local community face a range of risks – for example from groundwater pollution – but the most significant risks were faced in the site’s agricultural supply chain. Risks to small-scale barley farmers and their communities supplying SBL with raw materials include impacts of pollution, regulatory non-compliance, water conflict, and the inadequacy of water supply, sanitation and water-related infrastructure. Based on consultation and analysis, inadequate water supply, sanitation, and hygiene practices at farm scale and within farming communities was found to be an issue. For example, 60% of the population in a key sourcing district relies on unimproved/unprotected water sources, only 6% have an improved pit latrine, and 12% of households have no latrine. The degree to which WASH is an issue varied between sourcing locations. Various – including India, Kenya, Tanzania, Uganda, Ethiopia, Cameroon, Nigeria, Mozambique, Ghana. Diageo markets in partnership with numerous NGOs including WaterAid, Oxfam, AMREF, Concern Universal. Local implementing partners in partnership with markets and NGO. Diageo Foundation, Guinness Ghana Breweries Ltd (GGBL), WaterHealth International (WHI), Global Environment & Technology Foundation. Mainly access to clean, safe drinking water. The Safe Water for Africa programme aimed to provide safe water access in the countries most “off-track” in meeting the Millennium Development Goal on water. The Diageo Foundation worked in partnership with WHI to install water treatment centres across Ghana, to provide affordable, high-quality potable water from local contaminated water sources. Urban and rural communities in agricultural supply chain areas and adjacent to operations sites. Which elements of WASH are covered? Assess & Prioritize areas for action; Taking Action, Collective Action. The Social Impact Framework was launched in 2016. It is a critical tool for evaluating impact and focusing investment. Diageo has developed a ‘Social Impact Framework’ comprising a toolkit of measures, tools and supporting guidance to drive a consistent approach to impact measurement across its operations. It is expected that the implementation of this framework enables Diageo to more effectively report the outputs and impacts of its activities. The SIF, which was developed with input from three partner NGOs in 11 countries, provides a clear guide for the consistent implementation of programmes within Diageo’s overall strategy. It uses key performance indicators to quantify the impacts of programmes, allowing Diageo to identify and measure potential benefits and make a stronger case for investment. The SIF is also helping Diageo to ensure that it quantifies the full value of each of its existing programmes which have hitherto concentrated on a particular area. Traditionally number of beneficiaries and investment – but now implementing new Social Impact Framework to measure impact not input/output – including livelihood, education, health etc. Number of beneficiaries and investment, and the outcomes/impacts of these interventions. Invest in impact measurement, not just looking at beneficiary numbers but at what the impact is in communities. It can’t all be attributed to the projects, by any means, but you should have a reasonable understanding of what the wider impacts are beyond making water available to ‘X’ number of people. KPI: As part of the Social Impact Framework (SIF) we developed detailed impact metrics, and are currently working to determine appropriate KPIs for each of Diageo’s programmes, which will report in 2017. Assessing the impact of interventions based on beneficiary headcount alone doesn’t adequately capture the full benefits or learning available. Undoubtedly, the intervention appears to have benefited communities within the Guinness Ghana Brewery Ltd supply chain, but the qualification and quantification of these benefits requires a more nuanced approach to evaluation. This should consider livelihood, health and other impacts, alongside their sustainability, and should usefully trace the benefits for multiple stakeholders through family and farm case studies. 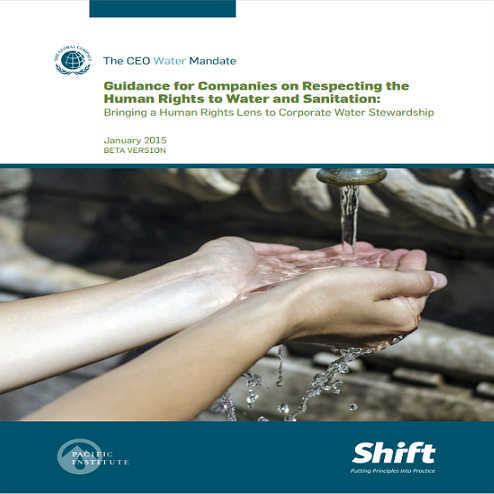 The evaluation concludes that alongside direct intervention and financing of WASH, companies can play an important role as champions for improved WASH, influencing other corporate actors and government to improve performance. These findings have contributed to new investment by Diageo through partnership with WaterAid to establish the business case for investment on WASH.
Water of Life projects were the main and most reliable source of water supply for 79% of beneficiary households. The programme supports 37% of women in their commercial activities and a reduction in time used sourcing water daily by 33% – enhancing their participation in income-generating activities and community governance. The incidence of waterborne diseases reduced from 15% to 3% in beneficiary communities. An estimated 34,000 jobs and livelihoods are being supported post implementation of projects. It is estimated that, by collecting the minimum level of taxes for the different classes of local businesses supported, local governments could amass annual revenue of 2.2million Ghana Cedis (USD 760, 000). The intervention has provided the main, reliable source of water for 79% of households. Reduced incidences of waterborne disease reported at household level from 15% to 3% pre/post intervention. 82% of respondents report that the project has reduced waterborne disease incidence. 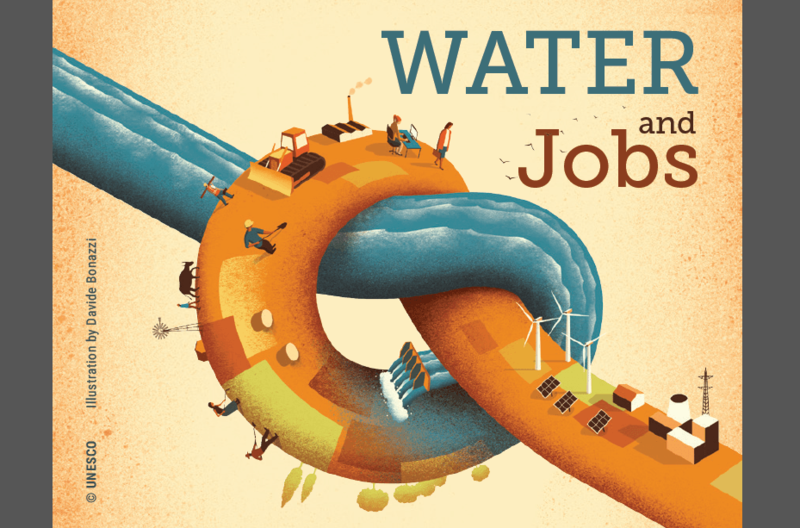 Improved water supplies have provided enhanced commercial opportunities for women according to 88% of respondents. Improved water supplies support livelihoods of 32% of beneficiaries, or 34,000 people. Increased school attendance by girls and reduction of time spent collecting water by approximately 23 school days each year. Reduced absenteeism and improved academic performance as a result of the intervention. The impact study recommended that Guinness Ghana Breweries Ltd should take steps to fully leverage this programme to build enduring relationships with stakeholders at the community, district and national level. 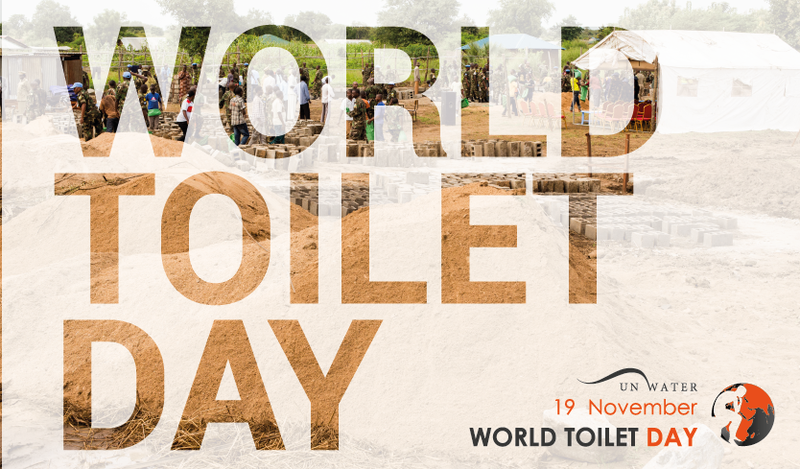 The project demonstrated the power of business-driven partnerships to address complex development challenges and the pilot provided a model for future collaboration between water, sanitation, and hygiene (WASH) donors. Implications of WASH provision for community and worker health and wellbeing, productivity and livelihoods. Options for improved on-farm WASH provision: WASH advice/training, water carrier/bottles, and trowels and screens to cover open defecation will be assessed as a cost-effective option. Action to improve security of WASH provision at community level: Investment in infrastructure/O&M (possibly combined with sewage/pit sludge re-use as fertilizer); advocacy and monitoring of service provision by local authorities/providers; support for community WASH committees; community water safety planning; additional data/mapping required to target these efforts; district, regional and national advocacy on improved WASH provision.